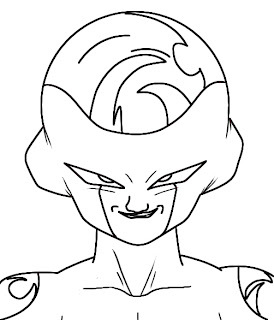 Today’s requested tutorial will be how to draw Frieza from Dragonball Z. I’ve been putting this one off for a while and doing the slew of Pokemon tutorials lately. 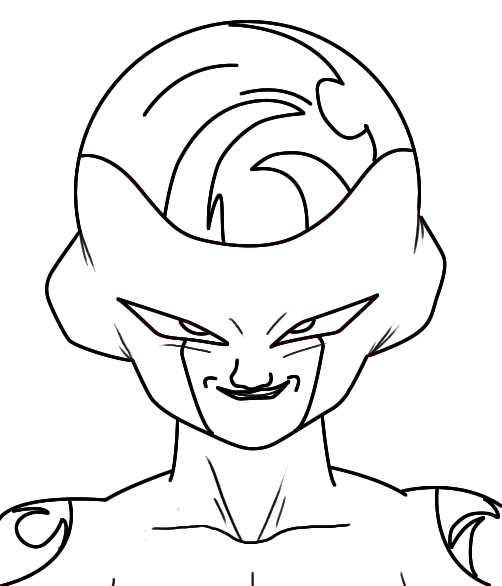 But those are almost done with, so let’s get drawing Frieza! 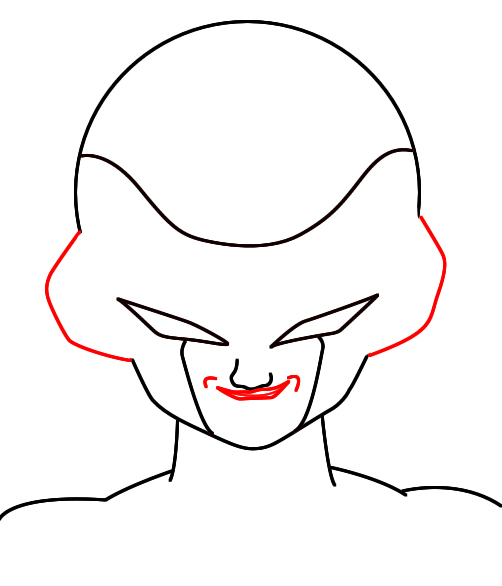 To get Frieza started, we’ll first need to draw a circle which will make up the bulk of his head. Under the circle of Frieza’s head, draw a small, pointed jaw. Erase the line between Frieza’s head and jaw, and draw the outline of his neck and shoulders. 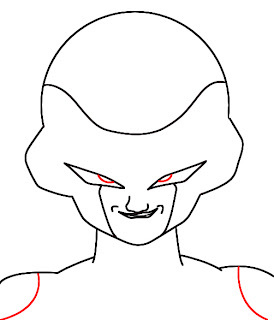 Draw a downward curved line across Frieza’s forehead, and give him two thin diamond-shaped eyes. 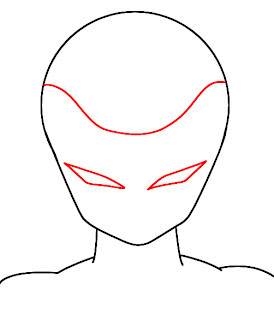 Draw a line that starts at the middle of each of Frieza’s eyes, and continues to the bottom of his face. 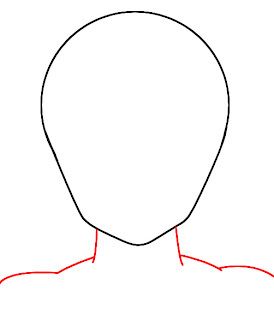 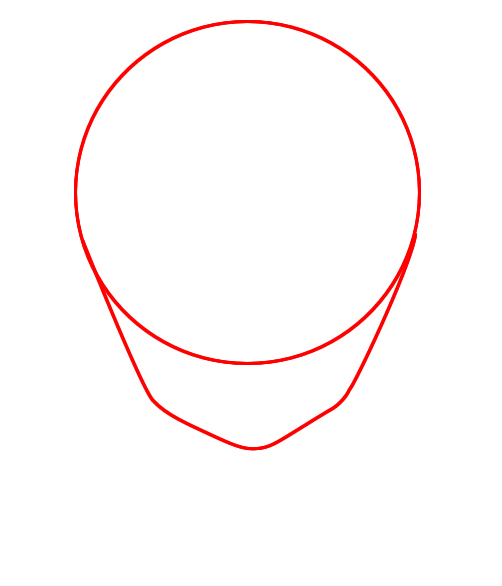 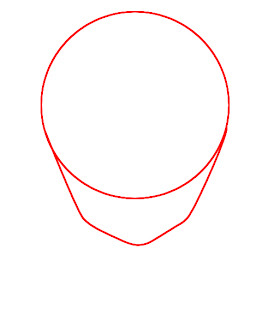 Draw in a small curved line in the middle of his face to suggest a nose. 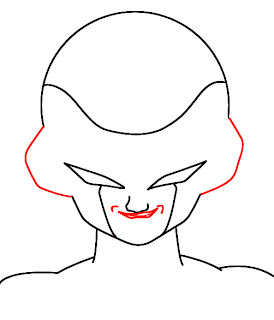 Draw two large square ears on the sides of Frieza’s head, and give him a thin mouth that nearly touches the bottom of his nose. 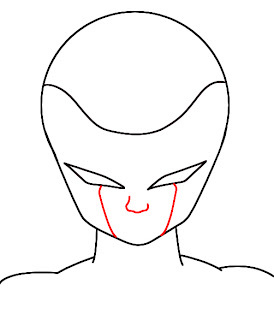 Draw two small half circles in Frieza’s eyes for his pupils, and another half circle on each of his shoulders. 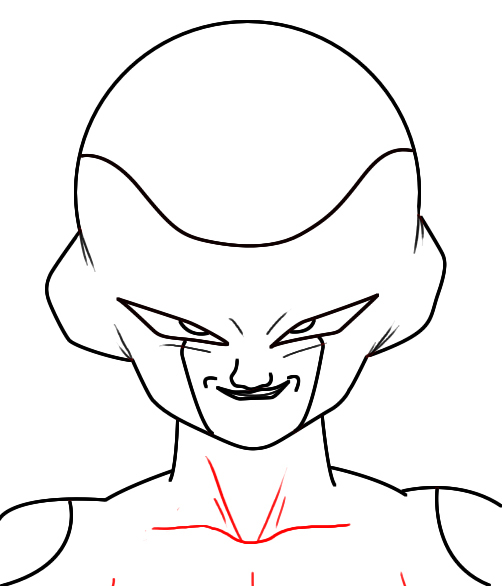 We can now begin to add a little detail to Frieza’s face by drawing in a few thin lines around his eyes and ears. 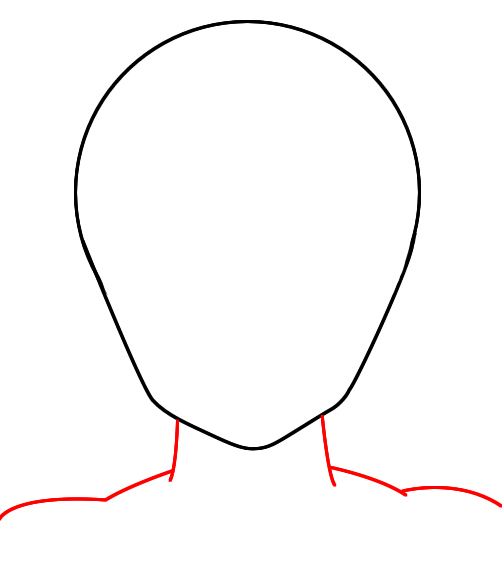 Draw a few more thin lines running down the length of his neck, and a line that cuts across his chest to make his clavicle. By now Frieza is just about complete. All that’s left to do is add a few curved lines on his head and shoulders to make the shiny areas of his body.